Today is April Fool’s Day. You’ve probably already had three people try to fool you with a practical joke or telling you a lie. Well, we will not be following suit. We have always taken the self-storage industry very seriously. In fact, we’ve always taken money seriously. We have always been pessimists by nature, and we are always seeking to eliminate risk from our deals in the most effective manner possible. That dedication to thorough due diligence has been an important reason that we have never lost significant money on an investment. We have some huge winners, some average deals, and the occasional misfire. But we’ve never had a moment when we felt like a fool. So maybe the most important feature of April Fool’s Day is that it is an annual reminder that the goal in life is to never be caught off guard or make stupid decisions. And, based on that finding, you can consider this newsletter an important part of your April Fool’s Day ritual. While there is plentiful bank lending available for storage facilities, there is probably no greater financing tool on earth than when the seller carries the note. The benefits are many and the downside is zero. So how do you get one of these most desirable loans on a storage deal? One of the key reasons that owners will carry paper is that it makes complete sense. A CD pays about 1% right now and a first-lien real estate note pays around 5% -- that’s five times more! On top of that, there are beneficial tax reasons for carrying the financing, namely that you only pay tax on money as you receive it, which means you can earn interest on what would have been paid in federal and state income tax. So what holds most buyers back from getting a seller financing opportunity it that they fail to suggest it to the seller, or to educate them about how it works. This plan is the ultimate in win/win, as you get sidestep the traditional banking process and they get a high interest rate. Some buyers make the wrong assumption – they feel like a seller note is less official than a regular bank loan. In fact, you want to document the seller note identically to that of a traditional loan from a lending institution. The only difference between the two is the absence of having to pay points and avoiding some expensive (but unnecessary) third party reports and legal fees. Remember that, following closing, you may never see the seller again, and they might die and leave the mortgage to an heir. As a result, it is essential that the seller note be officially recorded and fully expressed in writing, not written on the back of a napkin. Non-recourse. This means that if you default and the property is sold at auction for less than your remaining loan balance, that deficiency cannot be enforced upon you personally, Effectively, the most you can lose on any property is your down-payment. The alternative to this is “recourse”, which is unacceptable on a seller note. Cure period. This means that, if your payment is not received, you will receive a notice that you are in default and a certain period of time (normally 10 to 14 days) to cure the deficiency before the note would go into default (which means the seller can call the note due in full). If you don’t have this, and the seller does not receive your check even if it’s the post office’s fault, you will be in default of the note and they can demand you to pay it in full right now. Release price. 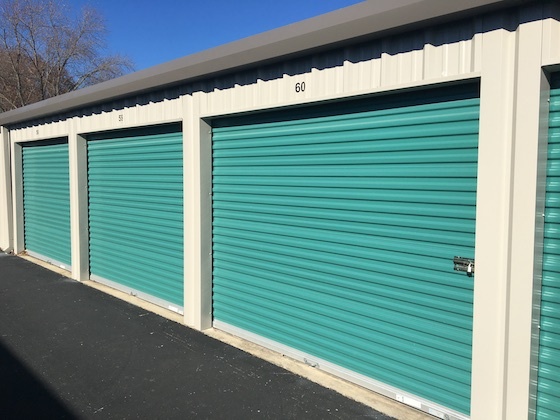 If there is any property that comes with the storage facility and that you might want to sell off at some point, you need to nail down how much money you would pay the seller to get that item released from the collateral pool. The most common item that comes up is raw land. If you don’t have a release price for that land, you may not be able to sell it until the note is paid off, if the seller refuses to give up that collateral. Assumability. It’s a great addition to any seller note if you can pass that obligation on to a future buyer. 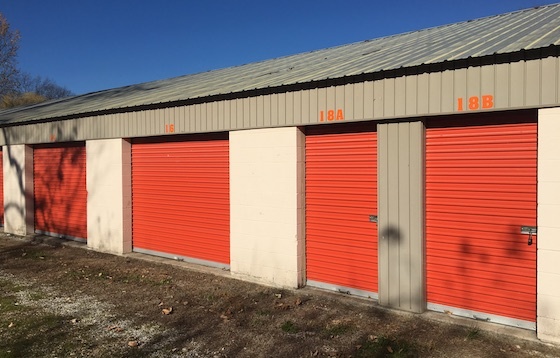 It can make it much easier to get a storage facility sold when there is no bank needed. Effectively, the debt is already covered, so all the buyer has to do is come up with their down-payment or, in some cases, you may elect to carry a second mortgage. Seller financing is a terrific way to buy a self-storage facility. It’s a win/win for all parties and well worth the effort in educating the seller on the benefits. Make sure that your seller note contains certain provisions, and that you have made it a formal affair. But when you get the seller to agree to carry the financing, it’s a huge step forward to creating a highly successful deal. 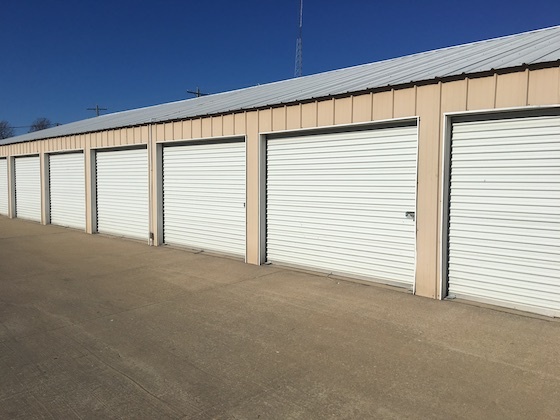 It is very important to get a solid handle on the competitive marketplace when buying a storage facility. You want to literally map out all of your competition and what their rates and vacancy are. So what are some tips on doing this? Make a complete list of all the self-storage facilities in your market. This is your homework. You have to reach and get the information for each one. You cannot skip those that don’t answer on the first attempt. If you are not thorough, all you will get is the information on the largest and most professional facilities (who have enough people to answer the phone at all times) and this will completely skew your findings. Any storage manager can smell a fake from a mile away. When you call, you never say things like “excuse me sir, but do you have any self-storage facility units available please?” You need to use regular customer vernacular. If you let the storage manager know you are a competitor and not a customer, they may try to ruin your study by giving you deliberately false information. The worst thing you can do when getting comps is to intentionally skew the data to prove your case. If you want to prove to yourself that the market rent levels are far higher than the current rents, then you need to make sure you don’t cheat and create that data from hand-picking only those with higher rents. When doing due diligence, you always need to wear a white lab coat and be focused only on gathering pure data. Don’t ever put your salesmanship hat on during that collection, and make the data support your case through manipulation. Comps are essential to conducting successful due diligence. Make sure that you are doing it the right way and not inflating (or deflating) the data. The key to making money with a self-storage investment is to push the facility to be worth more than you paid for it. There is a well-established playbook to accomplish this. And this combination of factors is what can be applied to any storage purchase. 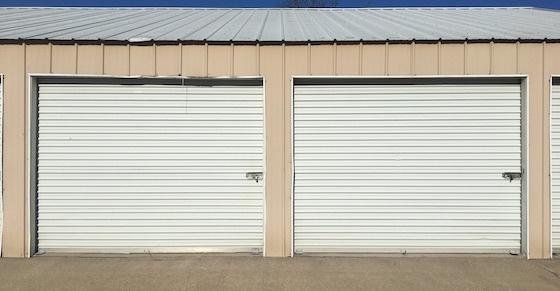 Most every storage facility you buy needs a new and more attractive entry. A new sign, new fencing, new lighting, feather flags – whatever it is to make the entry look its best. Remember that most customers choose their storage from outside appearance, and that the entry creates the first impression. You cannot succeed without making the entry a winner. Many sellers are classic moms & pops from a different generation, and they have no internet skills. 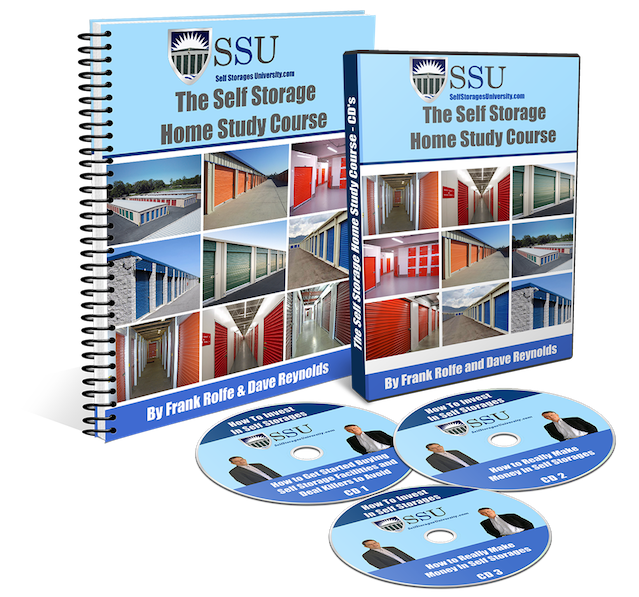 You can frequently create a ton of value by simply getting the storage facility on a Google search for storage in the area, as well as other tools such as Craiglist. If you are not an internet pro, then find someone who is. There is a large labor pool in this area, from virtual assistants to teenagers and college students. What’s even better than signing up new customers? Keeping your existing ones. Existing customers already have a track-record of paying on time and there’s no vacancy period. So how do you improve retention? By making your business relationship “personal”. Send a newsletter or thank you card to current customers, and make sure that your facility is well maintained. When someone calls or stops by to cancel, do everything possible to make them change their mind. Many times the former owner of a storage facility has made the mistake of leaving rents at low levels when everyone else has gone up. While it’s hard to hit up existing customers to pay a higher rent (although it’s been done) that does not mean that you should hold back on increasing rents on new customers. Do good market comps and raise your rent levels to that of your competitors. It’s a great strategy to devote some time and energy to creatively striving to decrease the cost of each line item on your self-storage income statement. Even things that seem impossible to lower should be attacked. It’s amazing how much you can cut when you put your mind to it. Things that cannot be eliminated should, at a minimum, be renegotiated. You’d be amazed at how much we’ve reduced insurance and trash and property taxes – every type of cost imaginable – through a strict focus on never accepting the fact that you can’t lower a cost. There are always ways to increase the net income and value of any storage facility you buy. These tips will get you off on the right foot. It is well known that storage facilities have the lowest default rate of any type of real estate. It’s typically a battle between storage and mobile home parks for this honor. So why does storage have such a low loan default rate? Back in the 1970s, investors believed that storage was a luxury. How could it not be? Who would need to store their material goods when times were hard? Who’d have enough stuff to need to store it to begin with? But all that changed with subsequent recessions, including the Great Recession of 2008. What these financial difficulties proved was that storage is not a luxury but actually a necessity. People store their possessions for safekeeping in times of uncertainty, and when you lose your job and go looking elsewhere, you put your things in a storage locker while you move around. Since storage is a necessity, the demand never goes down. Storage owners have always stuck with “reasonable leverage” – a loan-to-value ratio of around 70% on average. As a result, there has always been the ability to service debt loads and to stay out of loan default. While other real estate sectors have journeyed into areas that put them into enormous peril during times of correction, storage has always been well constructed on debt. They estimate that 20% of giant retail shopping malls will close over the next decade. And there are similar concerns in the lodging and office industries. However, storage has extremely stable future expectations. It is on all the right sides of the U.S. megatrends. And lenders respect this. Since storage facilities are relatively young (they began in the 1960s) and are mostly owned by non-professionals, there is always room to increase the net income in most facilities. This has been a huge aid to banking in this sector, as borrowers and banks can always be counted on to have an increasing net income picture, and that protects the ability to make note payments. Storage has the most impressive loan performance of any U.S. real estate sector. It has the lowest default rate year-after-year, and shows not signs of losing its lofty position as the most stable and safest user of debt.